Such beautiful tiny things !!! Much love to Jossan and her babies … all of them. Love and blessings for little Alan, such a short life, but loved so much. It is so sad that little Alan could not make it. One is never really prepared that this might happen. It did not help that we were aware of many things that can and sometimes do go wrong. This particular thing we could not prevent; something went wrong in Alan’s development as early as 2-3 weeks old in Jossan’s uterus. No one really knows why it happens, but sometimes it does. A small mistake somewhere with terrible consequences. When the problem is that extensive, there is no cure, we only help the inevitable suffering stop painlessly. And that is what we did. So sad. 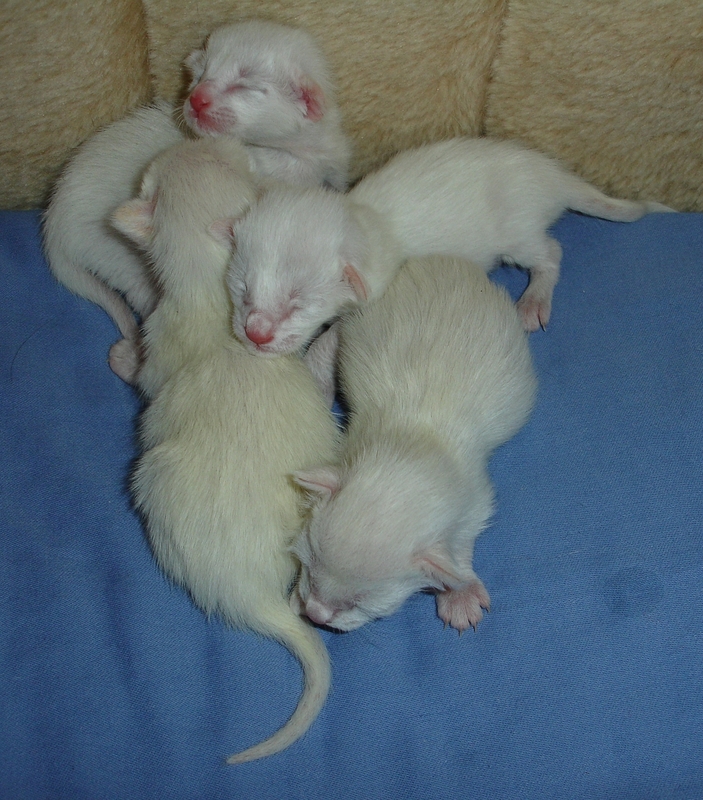 The four little ones are very nice, fluffy and already loud! Two of them are real purring machines, they started purring from the moment they started nursing, shortly after they were born.